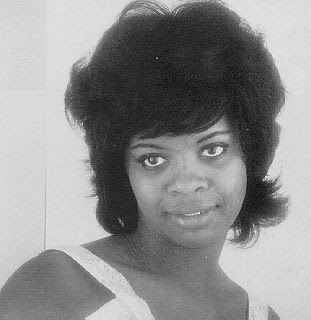 Irma Thomas was born Irma Lee in Ponchatoula, Louisiana in 1941. Her family made the move to New Orleans when she was a child, and growing up she sang in choirs at church whilst listening to R&B on local radio stations and jukeboxes. By the age of 19 she already had three children and had been married twice - she kept her second husband's name. She got a job singing with Tommy Ridgley's Untouchables part time as she worked other jobs to support her family, not travelling far outisde of New Orleans. In 1960 she had a single released on the local Ron label - "(You Can Have My Husband But) Don't Mess With My Man" was a national hit on the R&B singles chart, rising to #22. This led to her going on the road for out-of-town gigs throughout the South as she became a popular R&B singer. In 1961 she recorded for Joe Banashak's Minit Records. Like all the other local New Orleans acts signed to Minit (including Jessie Hill, Ernie K-Doe, Aaron Neville, Chris Kenner and Benny Spellman), she recorded under the guidance of Allen Toussaint, who was responsible for writing and producing some of her best work. Between '61 and '63 she released six brilliant singles on Minit which gave her local hits (they were even played on the white radio stations), the most memorable being the Toussaint composition "It's Raining". Another notable song was "Ruler Of My Heart", which was taken by Otis Redding and rewritten as "Pain In My Heart", giving him one of his earliest hits. This 12-song compilation features all of her Minit releases, both A and B sides of the six singles. Some charming New Orleans R&B, ranging from bouncy, uptempo horn-driven numbers to string-backed ballads. Thank you thank you thank you for sharing this great Irma Thomas compilation. When I was a child in the eighties she performed at my grammer school in Mississippi and I grew up hearing her on the radio on the local oldies station. Her voice and her songs take me back to rainy afternoons on the Gulf Coast.